A sign in the bathroom of the Lone Spur Cafe in Durango that references slavery will be taken down after customers raised concerns. Two women who visited the restaurant in September found the sign disturbing and insensitive. A sign in the bathroom of the Lone Spur Cafe, a restaurant on Main Avenue in Durango, will be taken down after a woman complained the placard is offensive. Nikki Moss, an African-American woman who is a descendant of a slave, said she noticed the sign Sept. 9 and told a restaurant manager it was disturbing and asked him to consider replacing it with different artwork. But as of Monday, the sign remained hanging in the bathroom at 619 Main Ave.
“I was shocked to see that sign,” said Moss, during a phone interview Tuesday with The Durango Herald. Moss’ friend, Claire Raines of Durango, visited the restaurant Monday and saw it was still posted weeks after Moss complained. On Tuesday, Raines wrote a letter to the Herald expressing her concerns. “She and I both believe that if something bothers you and you can do something about it or even just try to do something about it, you should,” Raines said in an interview with the Herald. Lone Spur Cafe CEO Cory Farley said a manager planned to discuss the sign with him this week, and he planned to take down the sign. He also planned to contact Moss to apologize. “Our intent is never to be offensive or insensitive to anyone,” he said Tuesday. 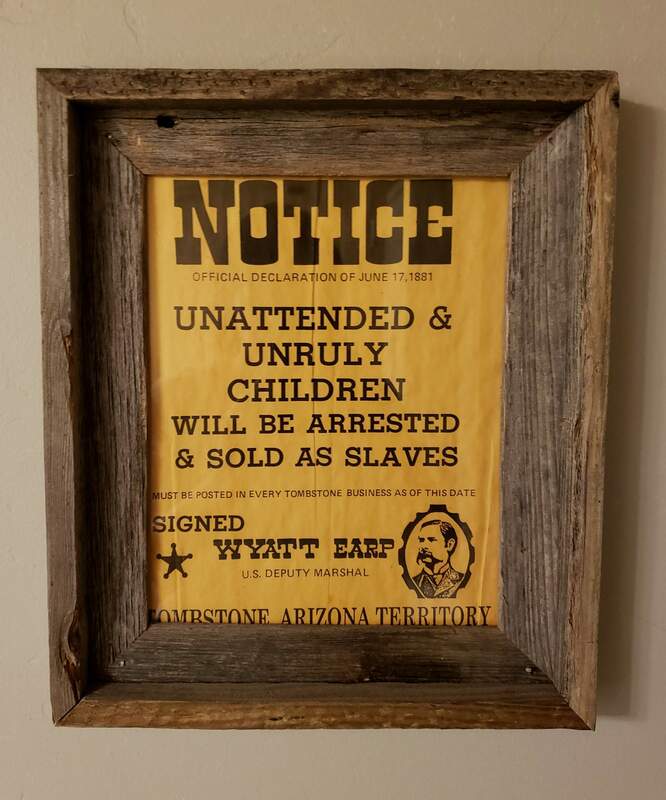 Farley said he has never had a complaint about the sign, and the sign is not posted in any of the other Lone Spur Cafe locations – in Flagstaff, Arizona, and Prescott, Arizona. Moss, a resident of the Detroit area, stopped into the restaurant with a friend on her way to Durango-La Plata County Airport. She was happy with the food, service and the other decorations, she said, but the sign in the bathroom was a shock. “It was amazing with the exception of the insensitivity of the sign,” she said. Moss said she will return to Durango to visit her friend, but she won’t return to the Lone Spur Cafe if the sign remains posted. A bathroom sign at HomeSlice Pizza in Durango drew criticism from some who say it trivializes sexual assault and sexual harassment. The owner reluctantly agreed to take down the sign. 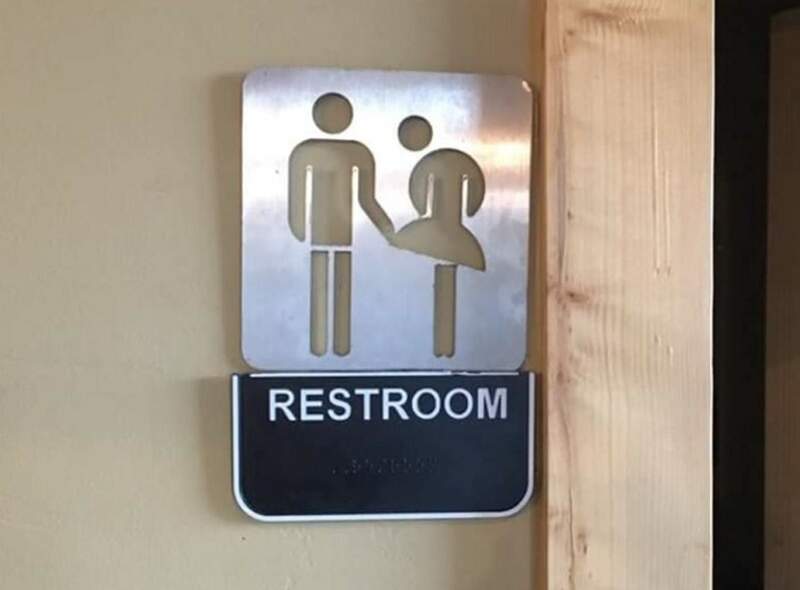 Last year, the owners of HomeSlice Pizza heard similar concerns about bathroom signs that depicted a man lifting a woman’s skirt. The owners took down the signs – not because they found the signs offensive – but to spare employees from community backlash. Critics said the signs used outdated humor to normalize sexual assault and sexual harassment.